A practical look at creating a FSM in Postgres using a transition function, a user-defined aggregate function and a table to keep track of events. A detailed post on how transaction isolation works, particularly in Postgres. A good read if you just rely on the defaults. 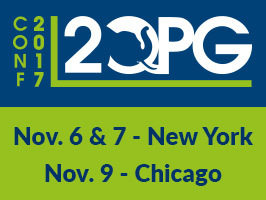 2Q PGConf is dedicated to exchanging & increasing knowledge about PostgreSQL. Join us for this unique opportunity taking place in NYC & Chicago to learn more about recent achievements and exciting future developments in PostgreSQL from world-class experts. The Postgres team are looking for quotes from Postgres users about new features in the upcoming release. A patch release with a focus on fixing bugs and breakages. Citus, which extends Postgres to make sharding simple, introduces a few new types of tables in Postgres. Here’s a tour of the things you need to think about. See how SelectStar can expertly monitor replication in your Postgres database. Start your free trial today. BrytlytDB is an in-GPU-memory database built on top of Postgres. When it comes to databases there are a number of types of joins that exist. Natural joins are a less known set that can help as highlighted here.